The Eco Log 590E is our largest model in the 500 series of E-harvesters. With a 320 hp Volvo Penta engine and a 310 kNm crane, you can handle all types of work quickly, safely and cost-effectively. 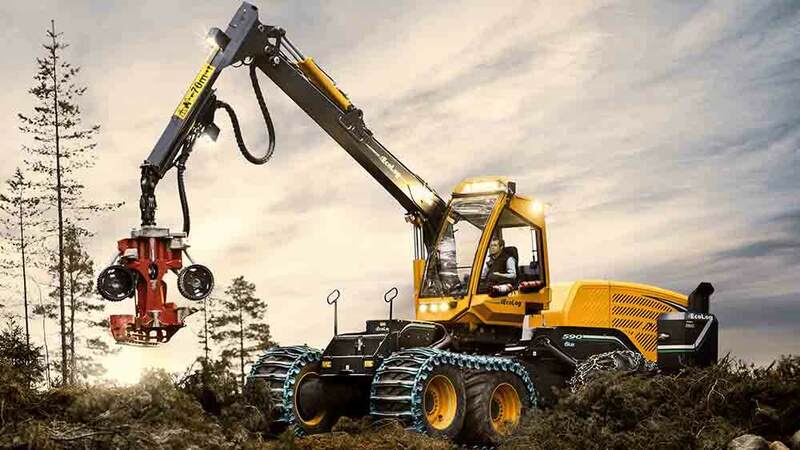 With the Eco Log 590E, no job is too big. The new Volvo Penta engine is specifically designed for high performance, reliability and fuel efficiency, and provides 320hp at your disposal. Eco Log's unique pendulum arm suspension gives the 590E the best possible terrain features and this model can also be equipped with a balanced bogie for added flexibility.